John Lewis launches TV range with LG WebOS | What Hi-Fi? 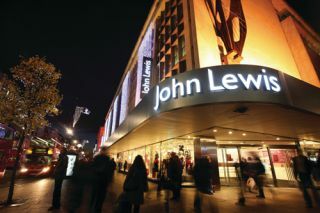 Retail giant John Lewis has unveiled plans to release three smart TVs made in collaboration with LG – and all models will use the Korean company's webOS smart TV platform. The JL9000 Smart HD TVs will come in 49-, 55- and 60-inch models and each will come with a 2.1-channel soundbar built in to the base to improve the sound. The new OS does away with left-to-right scrolling menus and apps on separate pages – and instead provides one menu of apps running along the bottom of the screen. Users are able to control HDMI devices through the OS too, as well as select programmes from LG's own range of on-demand content. The John Lewis JL9000 TV range will be available next month and cost £1499 for the 49-inch version, £1899 (55-inch) and £2299 (60-inch).